iPhone X will be under the spotlight at the September 12 Apple event that will also see the launches of two other iPhones – iPhone 8 and iPhone 8 Plus – along with several other gadgets. The tenth anniversary model, iPhone X will be the first time the company is trying an OLED panel and bezel-less design on a phone, if the longstanding rumours are anything to go by. But that won’t be all as the new Apple flagship will sport several features not seen in the brand’s smartphones yet, such as the facial recognition, and full fledged AR support. If you are curious about what else the model will offer, here’s a look at the rumoured iPhone X specifications, features, price and more you need to know before the official event on Tuesday. The iPhone X launch event time is 10am PDT (10:30am IST) tonight, and the event will be held at the new Steve Jobs Theater at the new Apple Campus in Cupertino, California. As is the case with any major tech launch, the iPhone X live stream will be available for people across the world to watch. However, you will need an iOS or Mac device with Safari browser or a Windows 10 device with Edge browser to watch the live stream. It will not run on Chrome or any other browser, and any other browser except the ones mentioned above. According to a recent report, the iPhone X price will be higher than we have ever seen before. While the base variant usually starts at $649, it is expected the next Apple flagship will touch the $1000 mark, a hefty sum for the 10th anniversary model. This would have implications in the iPhone X price in India as well, which may touch the Rs. 1 lakh figure, since the sticker price of iPhone models shipped in India includes heavy import duty and other charges imposed by the local government. The iPhone X will also have near-bezel less display, a departure from noticeable bezels on older iPhone models. Bezel-less is a trend that many companies including Samsung, LG, and Xiaomi have employed in their products in the recent months. 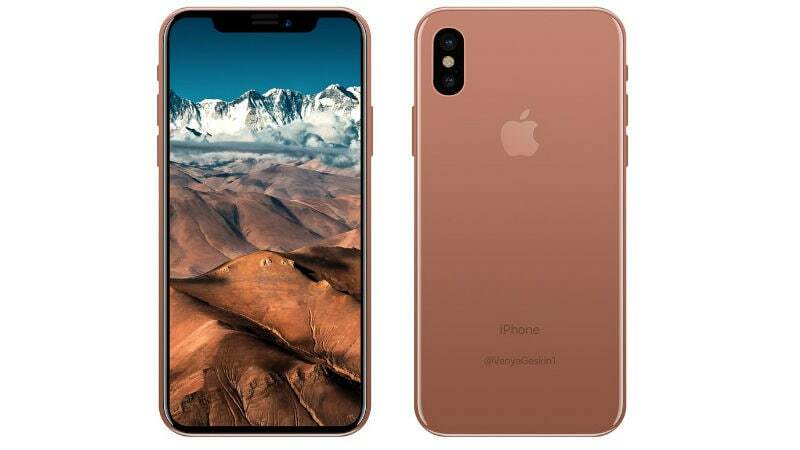 At the event, Apple is also expected to unveil the iPhone 8 and iPhone 8 Plus, incremental improvements to last year’s iPhone 7 and iPhone 7 Plus. The company is also expected to launch the Apple Watch Series 3, the successor to Apple Watch Series 2 with support for LTE connectivity, which would enable users to make phone calls from the watch itself. Over the weekend, developers combed through an unreleased version of iOS 11 software to find several references of upcoming products. Based on those sightings, we know that the iPhone X would feature a six-core Apple Fusion SoC. This will be the first time any iPhone carried more than four mobile processor cores, which signals that the iPhone X will be more powerful than any other iPhone models — including the iPhone 8 and iPhone 8 Plus. It is also expected to feature 3GB of RAM, a significant improvement over last year’s iPhone 7 Plus, which according to teardown reports houses 2GB of RAM.